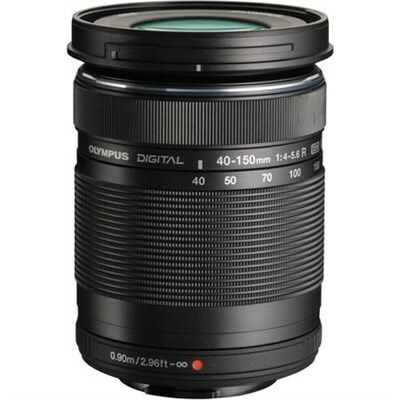 Ideal for portraiture and distant subjects alike, the black M.Zuiko Digital ED 40-150mm f/4-5.6 R from Olympus is an 80-300mm equivalent telephoto zoom for Micro Four Thirds mirrorless cameras. Its modest maximum aperture helps to realize a compact and lightweight form factor while an advanced optical design, which uses extra-low dispersion and high refractive index glass, controls a variety of aberrations for notable sharpness, clarity, and color accuracy. 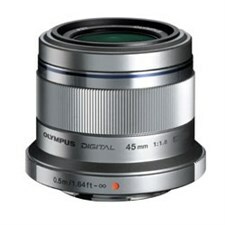 Extending its versatility, this lens also features a Movie & Stills Compatible autofocus system, which is quick, quiet, and precise to suit both photo and video shooting applications. Compact telephoto zoom is designed for Micro Four Thirds mirrorless cameras and provides an 80-300mm equivalent focal length range. One extra-low dispersion glass element controls color fringing and chromatic aberrations for improved clarity and color accuracy throughout the zoom range. One high refractive index element helps to control spherical aberrations for improved sharpness and resolution. Rounded seven-blade diaphragm for smooth bokeh quality.